In this world, everyone love music. Music is an important aspect of life. Music is how people relates them self to the world. Some people thinks that music is the way to express yourself. Music always keep you company while you’re alone, while you’re sad when you’re happy. It the best way to express your feelings which might be hard to express. Music is a best source of inspiration and expressions. 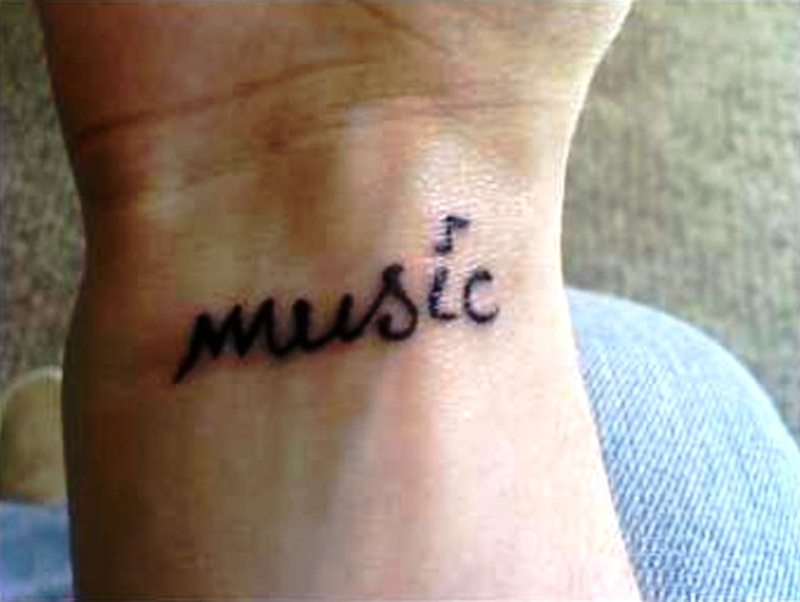 I think everyone in this world love to listen music, But have you ever imagine to get music tattoos on your body. Yeah, There are lots of people in this world who loves to get music tattoos symbol on their body. They want their favorite music quote tattoos, their favorite instrumental pictures as a tattoo and some beautiful and small music symbol on their body. This is only because they love music as well as they love tattoos. So they combined both music and tattoos and create a music tattoo.Everybody knows that every tattoos has its own specific meaning and it is also says earlier in this post that music is the best way to express yourself and explain things. So many people love to get music tattoos. It’s not a big problem that you starts to think that i love music a lot but what kind of tattoo designs will be perfect for my body. Believe me, There are lots of tattoo designs in this world and you can find easily one perfect tattoo design for you. You just need to find a good tattoo artist or i have to say that you just need to find a good tattoo studio. Dont worry about price of music tattoos. It will be the same as other tattoos depends upon the size and color of tattoo designs.Here are our 15 Small Music Tattoos Ideas.